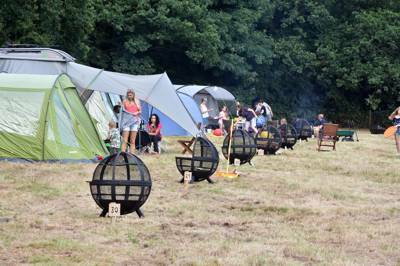 Pitch your tent in the grounds of this stunning National Trust estate - campfires allowed! (Price includes admission to Polesden Lacey House and Grounds). Within striking distance of London, in the heart of the Surrey Hills, National Trust-owned Polseden Lacey was originally one of the finest Regency houses in the UK. It was remodelled in Edwardian times and played host to Queen Elizabeth and King George VI on their honeymoon in the 1920s. Today you can camp here with access to the house, gardens and the rest of the estate, which – apart from the house itself, with its collection of paintings and furniture and mementoes of the many famous folk who passed through during the first half of the 20th century – has beautiful rose gardens and, most importantly, some 1400 acres of ancient woodlands and rolling farmland, explorable by way of multiple footpaths and bridleways. 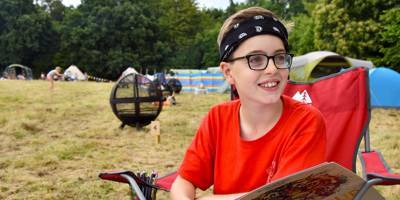 As for the camping, there has been a site here since the 1960s, when it was used by the Girl Guides, but it has recently been transformed by the folk at Embers Camping, an experienced group that have several, traditional campfire-friendly sites in the Southeast. There are 35 grass pitches and a new oak-framed modern washroom, with underfloor heating, washbasins and piping hot showers, plus a newly built wood-fired pizza oven by the campsite shop. 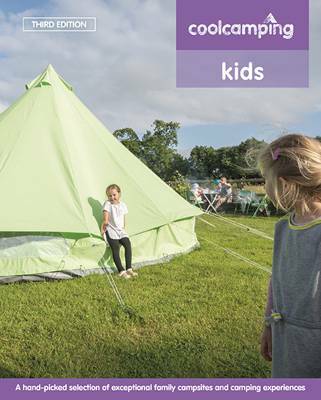 It’s a tent-only site, but you don’t have to have your own tent to camp here: they hire out ready-pitched five-metre bell tents for families who are too posh to pitch, making it a popular spot for both camping and glamping devotees! 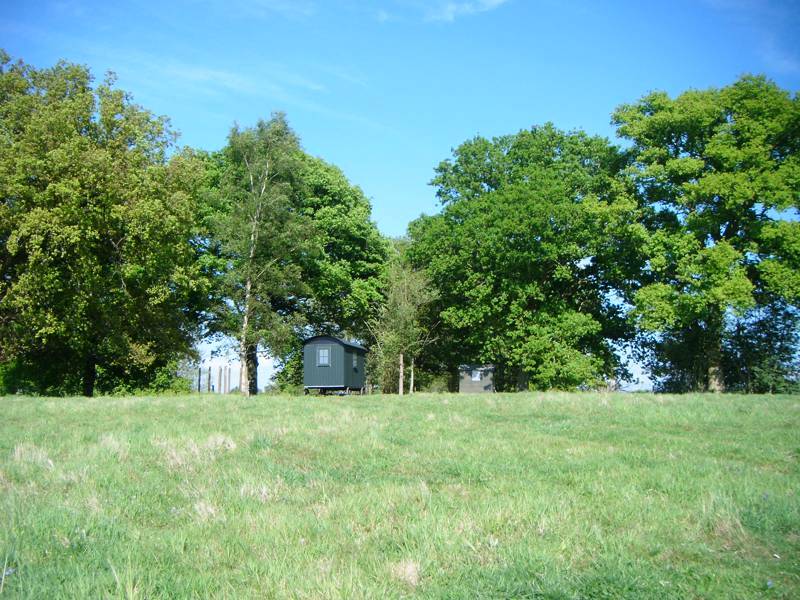 At Embers Polesden Lacey, we are proud to offer the unique experience of camping at one of England’s most beautiful National Trust properties. During your stay you have access to the House, Gardens and wonderful open woodland and estate. Whilst staying with us, you can explore 1,400 acres of ancient woodland, trails and the truly mesmerizing rose garden visited by royalty from years gone by. Whether you decide to explore one of the four main estate walks by foot, visit the main house where Royals spent their honeymoon in the last century or simply laze in shade overlooking the stunning views over the Surrey Hills, you will be pushed to tire of the stunning grounds at Polesden Lacey. There’s plenty for the kids to do too, such as borrowing a pair of binoculars to spot the wide array of butterflies, house martins and swallows that grace the local woodlands. And of course, as at all Embers campsites, we're all about the campfires - so bring marshmallows and matches, and get ready to enjoy your evenings by the light of the fire. Peaceful and picturesque site on the edge of the Surrey Hills. Loads of great walking right on the dorstep. Staff were great and even helped us to light our campfire properly! Facilities all brand new and spotless. Properly dark at night and love the fact that there are no cars onsite once you've unloaded! We stayed for one night as a trial, but will definitely be back again. 35 tent pitches, with a fire basket for each. There is a brand new loo and shower block with plenty of hot water, and a campsite shop selling food basics. Tents only – no caravans, campervans, groups or dogs. But they have ready-pitched tents for glampers. The main on-site attraction is an obvious one: the house and grounds of Polesden Lacey itself, which are free to campers and could easily keep you occupied for the duration of your stay. There are also weekly evening events throughout the summer at Polesden Lacey, from jazz evenings to bat walks. Well, Kings and Queens have stayed here in their time, so surely you don't need any more of a recommendation than that? We can't confirm whether they slept in the grand Edwardian house or camped in the grounds, but the latter is good for us. Polesden Lacy and its grounds could keep you occupied for days but there's a wide choice of things to see and do in the countryside around, not least Denbies Wine Estate (01306 876616, just outside Dorking, which is a short drive away and offers tours and tastings of its lush vineyard, the largest in the UK. The scenic local honeypot of Box Hill (01306 885502) draws walkers and cyclists from miles around, and is worth clambering up for the incredible views it gives you over the Surrey Hills, while those with kids in tow might consider worth making the short journey across the M25 to Chessington World of Adventures (0871 663 4477) – the popular theme park and zoo. The campsite shop sells drinks, snacks, ice creams and wood-fired pizzas in the evening, plus the nearby National Trust Granary and Cowshed Cafés serve teas and coffees, cakes and sandwiches and delicious hot and cold food. Beyond Polesden Lacey, the Stepping Stones in Westhumble, not far from the station, is a very welcoming refurbished old pub with a wide-ranging menu that takes in hot food, sandwiches, a kids menu and more. Denbies Wine Estate (01306 876616) has two restaurants, one a relaxed place for lunches and snacks, the other a more upscale dinner-type affair, while a little further afield the Running Horses in Mickleham (01372 372279) is a cosy gastropub that serves great food. There's also a National-Trust-run café at Box Hill (01306 885502). Adults £23.50, children £8.50, under-3s free. Entry to The National Trust estate is included. National Trust members can also get a bag of free wood by showing their membership card. From Junction 9 of the M25: follow the A243 (signed A24 Epsom, Dorking and Leatherhead), before picking up the A24 and then the A246 (following the brown signs, but taking care not to take a hard right onto the B2033 Reigate Road). Don't miss the brown sign as you enter Great Bookham, indicating the left turn up to Polesden. From Guildford: Follow the A246, past East Clandon and East Horsley. Don't miss the brown sign as you enter Great Bookham, indicating the right turn up to Polesden. By public transport, there are train stations at Box Hill, 3 miles away, and Effingham Junction, 5 miles away.